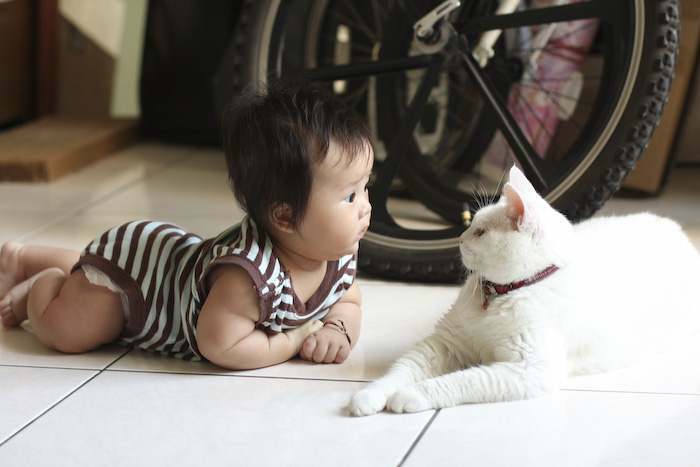 When it comes to pets and small children there’s often a concern about whether or not they can get along. 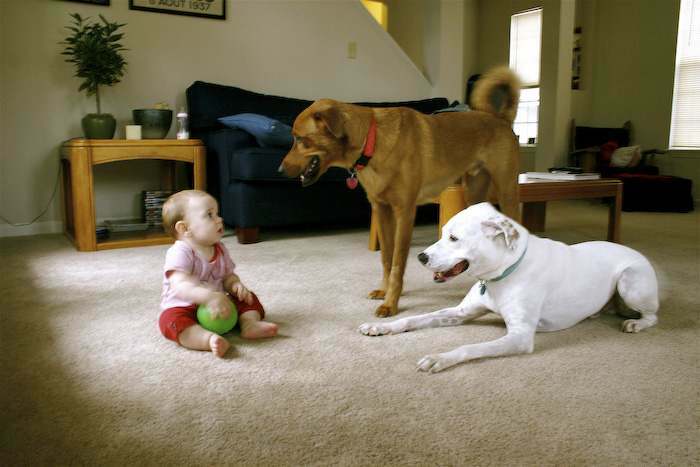 Sometimes it’s about finding kid-friendly pets, and other times you can blame issues on less than pet-friendly kids! 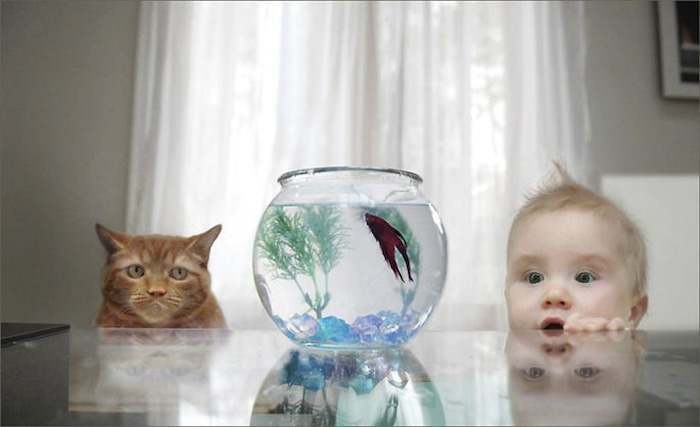 But in the cases below you’ll find a lot of love and curiosity in these adorable photos of kid-pet duos. These must be some of the most adorable pictures I have ever seen! They are SO heart warming and cute! Thank you for sharing!! 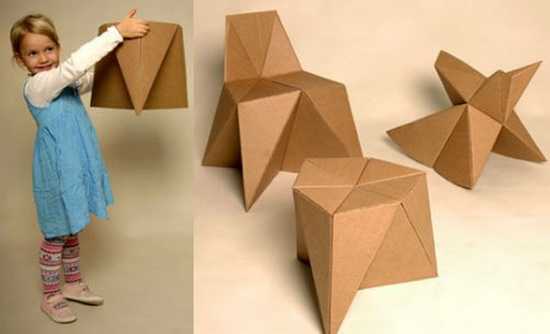 oh these are so amazing. the ones with puppies/kitten and babies are the best imo. Some of those animals weren’t all that happy about what was going on. So I sincerely hope their owners are aware of that. 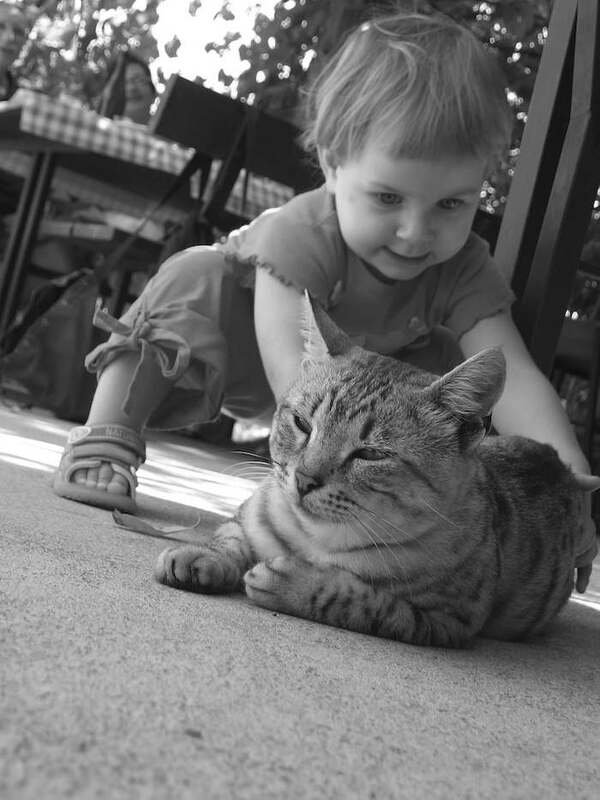 Animals have their own unique ways of showing discomfort and displeasure, especially when kids are around. The dog/cat whisperer has spoken!!! Who let you back on the internet, Charlie Sheen? In the second to last picture, that kitty isn’t happy at all. Anyone can see that the cat in the second to last picture is about to scratch that kids hand. He won’t be laughing then! And having babies around fully grown dogs can be very dangerous. Having babies around fully grown adults can also be very dangerous. Both our cats was our “Honeymoon” babies. Our male ginger and white tabby just died after 17 years. Our only daughter is now 14. So you can imagine our loss and grief! All you folks coming up with some form of criticism, are you pet owner’s your self’s? If you are, how is it that in my 50 years of life, none of my family’s or my own pet’s have EVER attacked or molested any child, even my own? I think it depend on how competent you are at raising a child, my apologies, I mean your pet. For the American’s, your own Doctor Phil has said; “Show me how a MAN treats an animal and I’ll tell you what type of a person he is”! How true, I’m thinking of our own South African hunters, BIG MEN with BIG RIFLES, but such small intellects and even smaller “personal firearms”! Shame, after all, it takes a HUGE CANNON to kill that BIG SCARY female lion, from over a mile away, whose only sin was to protect her cubs. For the record, I’m a Chemist & Medical Microbiologist, so please don’t come and tell me about diseases, parasite’s and what not. I have also taken all my pet’s as an adult to the same two vet’s sharing a practise. NEVER have I been advised not to have pet’s for my child, nieces or nephews sake, to the contrary…..
You could send it to contact AT dirjournal dot com. Wow .. The photos are amazing. 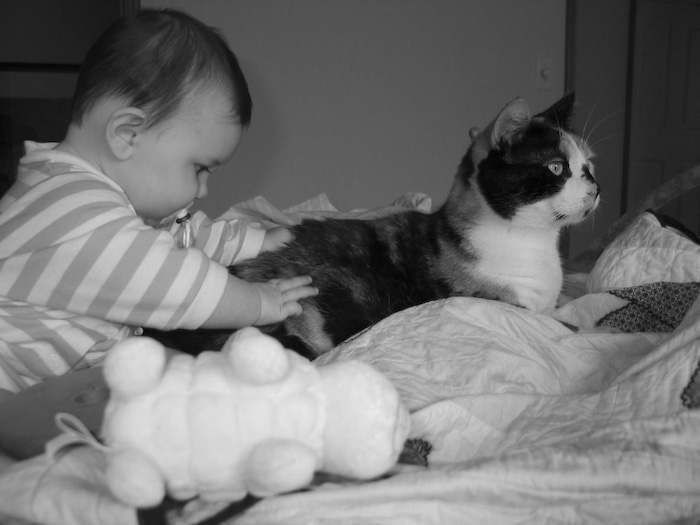 The babies and the cats so funny and cute. 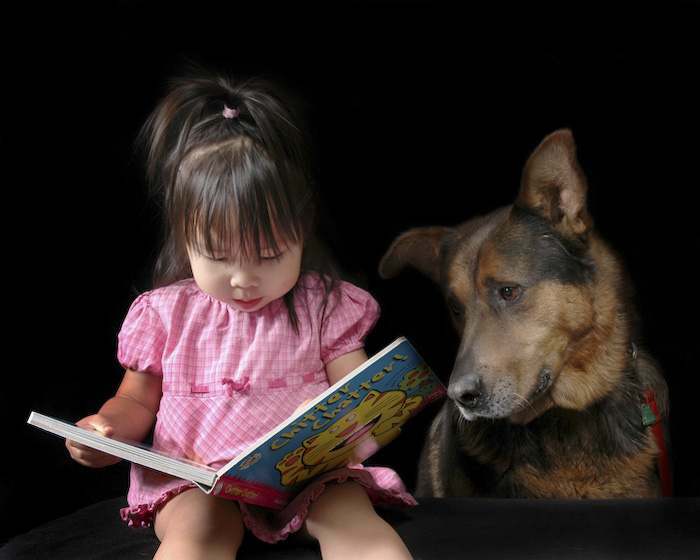 I think it depends on the pet owner – on how u *raise/teach/train* your dogs/kids/cats. Naysayers – each pet is different. And if you’ve never made a cat/dog/pet unhappy in your life, then you shall be the first to cast a stone. I’d say the only one that looks unpleasant for the pet is the last one, and I’d say it probably wasn’t that horrible. 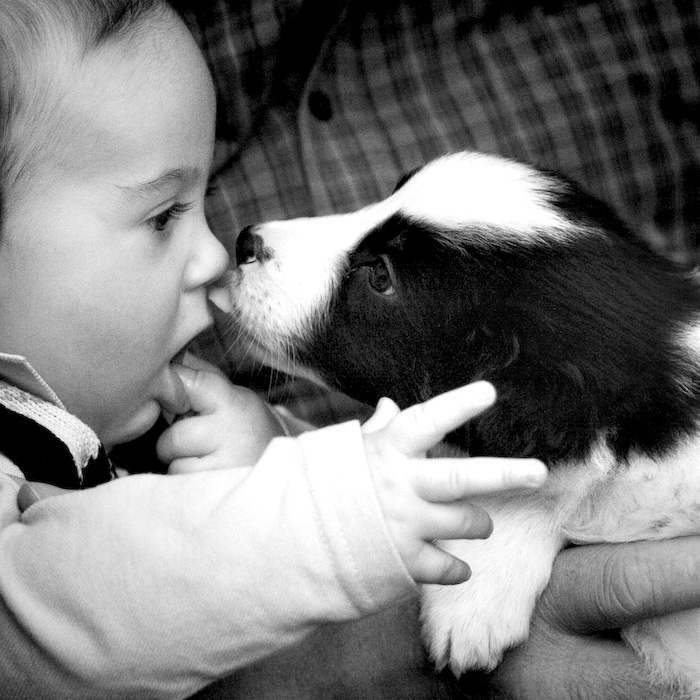 I highly doubt mommy/daddy/grandma/grandpa taking the picture would allow a their child to stick their hands into the dog’s mouth if the dog was prone to biting. 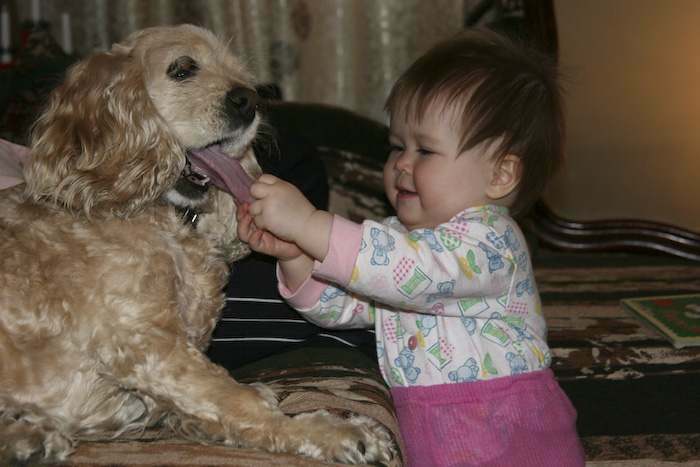 And I doubt the child would have pulled the tongue out that far if the dog were prone to biting either. 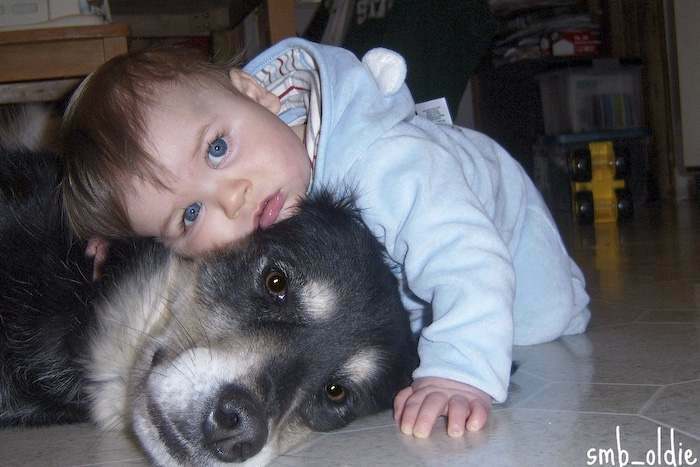 You think that puppies are safer than full grown dogs? Puppies have sharper teeth and less restraint and understanding! 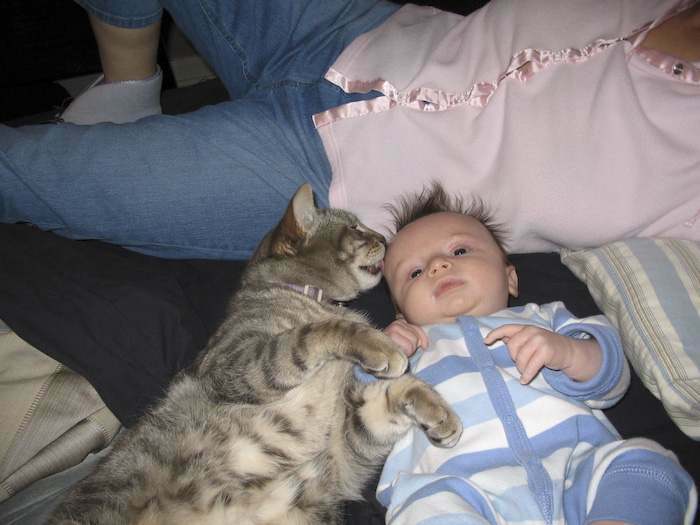 And the mad kitty … well, I’d say Grandpa had a good hold on him, and he’s gotta get used to the baby someday! And the baby’s gotta get used to the claws, or learn how to avoid them. A few claws never really hurt me, or my little one, and I know both her and I both felt our fair share of them as we grew up! Kudos! 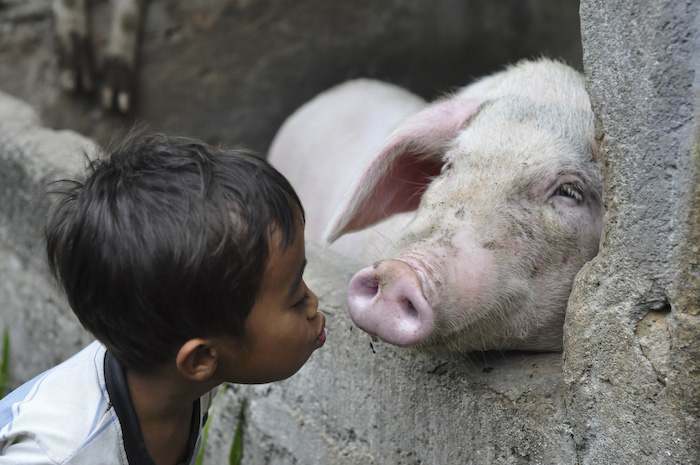 I really liked the kid kissing the pig. Very unique. I hope the kid didn’t really kiss it though. LOL. Poor thing. Wow, some of these animals are very patient. Also, to Hendrick Lubbe: Chill out, man. No one was saying anything to provoke that wall of indignant text there. “All you folks coming up with some form of criticism, are you pet owner’s your self’s? 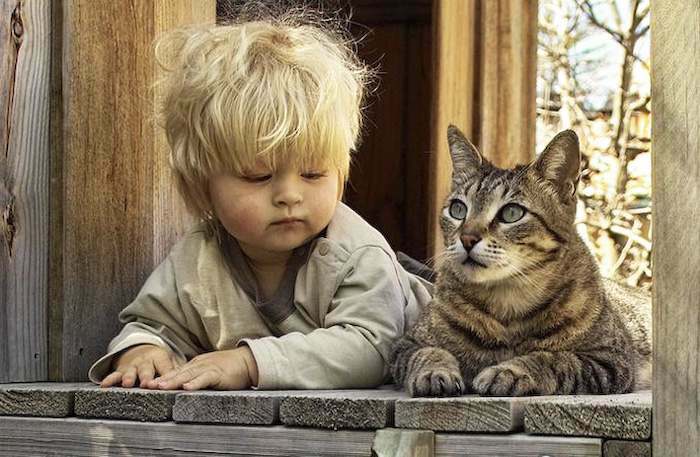 If you are, how is it that in my 50 years of life, none of my family’s or my own pet’s have EVER attacked or molested any child, even my own?” Yes, I am a pet owner and know my cat well enough to understand that while he is a very tolerant feline, he has a breaking point and will scratch or bite. He’s a *cat*. That’s what they do. Animals have different personalities, just like humans do: some are more relaxed or more violent than others. 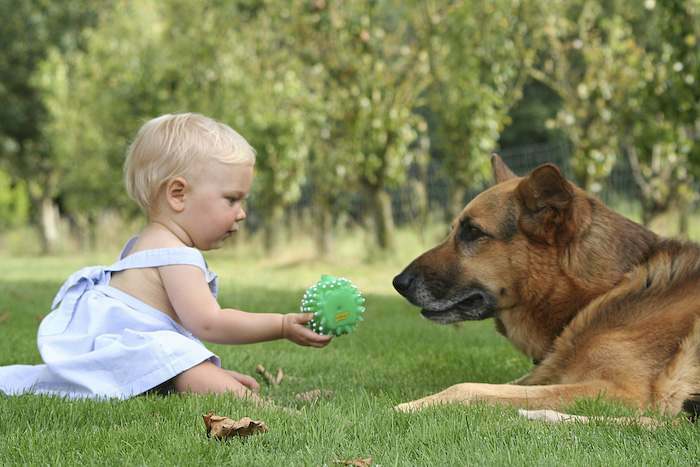 some pets don’t llike kids and it has nothing to do with how you raise the pet. I have a cat who is the most loving cat in the world to me, he even sleeps on my head. but he absolutely HATES kids, even just the site of them makes him hiss. there is no reason for this, I’ve had him since he was 8weeks old and know the family who I got him from. either way, I love my pets, but some of these pets are displeased… you can see it in they’re body language. I think a good owner should know when it’s enough and remove the pet from the situation. the kid grabbing the dogs tongue? 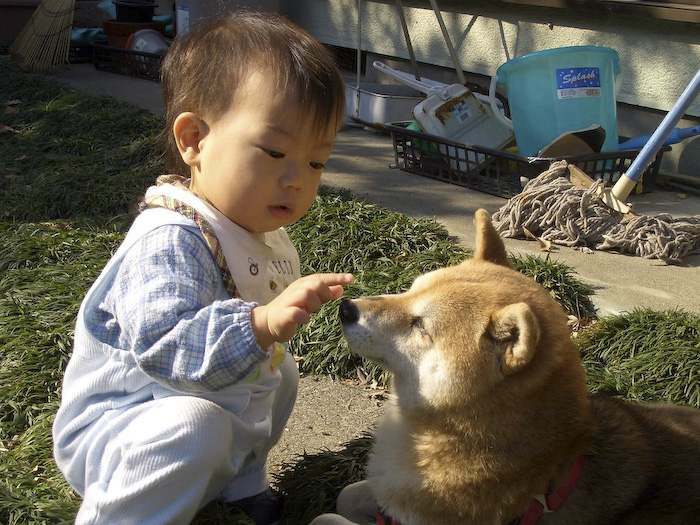 it looks like the dog is bothered but not enough to bite the kid. probably okay, but you SHOULD be teaching your kid it is not okay to grab an animal’s tongue and dig your nails into it. the cat? 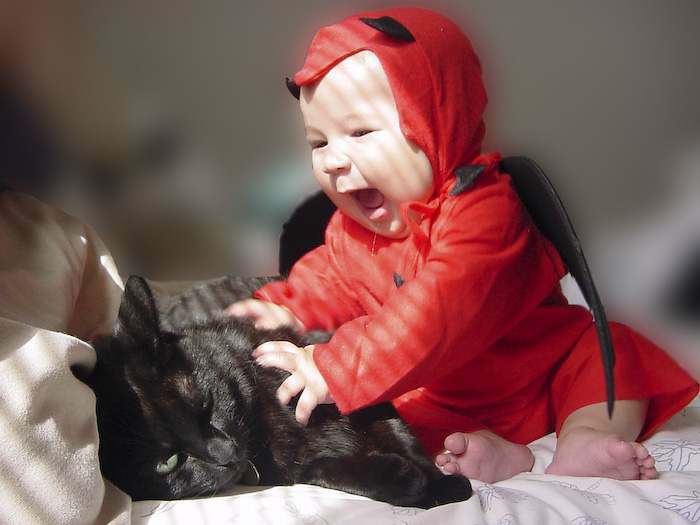 looks like it’s about to pounce on the kid’s face. the owner obviously knows by the way it’s holding the cat back so I’m going to say it’s also a decently safe situation. Thank you, thank you, thank you. I just had a hard day and these photos just renewed my belief in people and what they can do when they try. 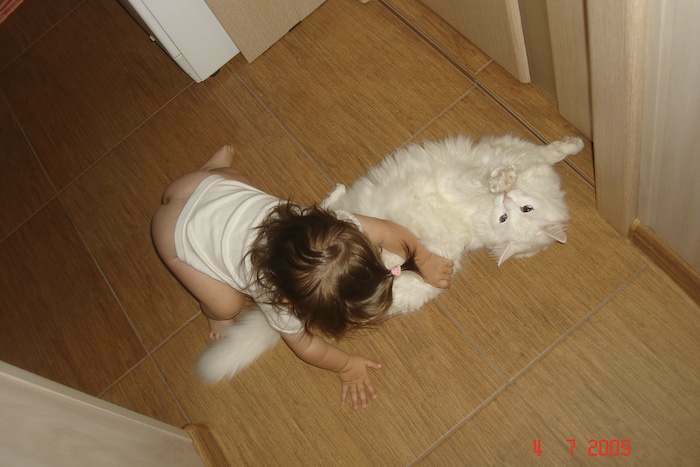 There is no single day without a news of a child attacked by a house pet. 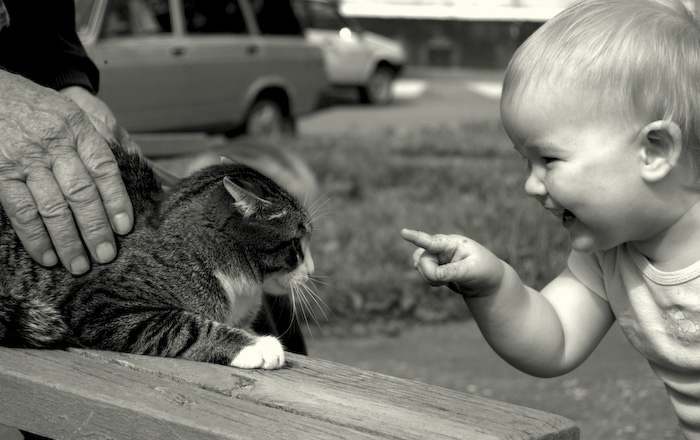 Cats, Dogs, etc no matter how nice they may be…they are animals and they reaction cannot be controllled. It is irresponsible for us to expose our children into such an impredictable environment. I have seen kids faces totally scared for life after dogs and cats attacks. Parents be ware, take care of your kids. haha…even if you are showered with beautiful things, you can still see bad if you can’t change the way you look on it…nice pix.. I love the second picture, it’s so sweet. These are so cute. I like to see this kind of picture. 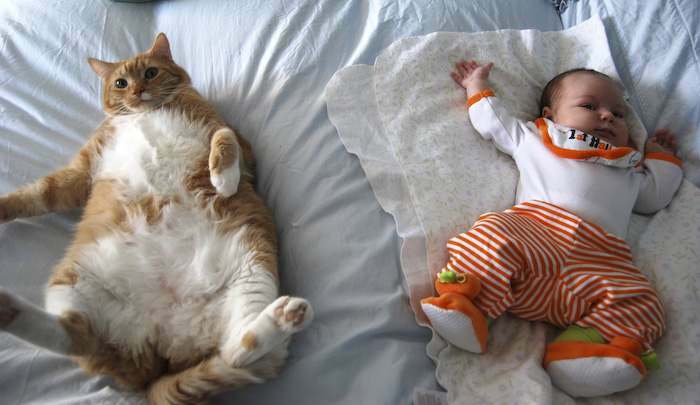 95% of the time “cute” photos of animals and babies irritate me. It just feels like they’re trying to hard to be funny, original, or sweet. Some of these really made me “awwww” though. I loved it. We have so much to learn from each other. Those of you commenting that gull grown dogs are less safe than puppies obsviously do not know much *about* puppies. Young dogs have extremely tiny and sharp teeth for about their first six months of life, and in this youngster age they don’t understand what is too much when it comes to playing. If you allow your baby around puppies to try to be “safer” don’t be surprised if you’re regretting your decision. Lovely photos. Animal/Human relationships being captured are always heartwarming. 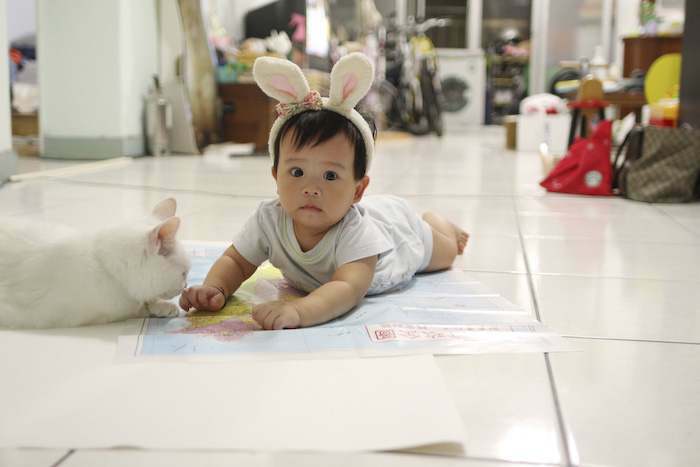 I have a few ‘awwww-able’ photos of my 2 cats and my daughter. They adore her and she adores them, its been like that since day 1. Obviously I don’t leave them alone (and those kids aren’t alone so its not dangerous – unless you think cameras can operate themselves nowadays?) but I love watching my 11 1/2 month old daughter and youngest cat snuggled up together and her playing with his ears. 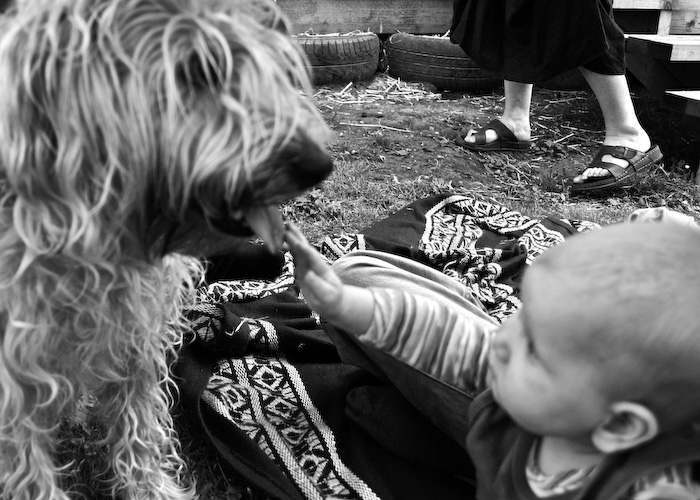 Most dogs and cats will become quite protective of a small child, all my dogs have been protective of me and my cats are protective of my daughter. I have a ferret. I believe they are quite safe to have around children. They are very timid creatures, but yet so are kittens. 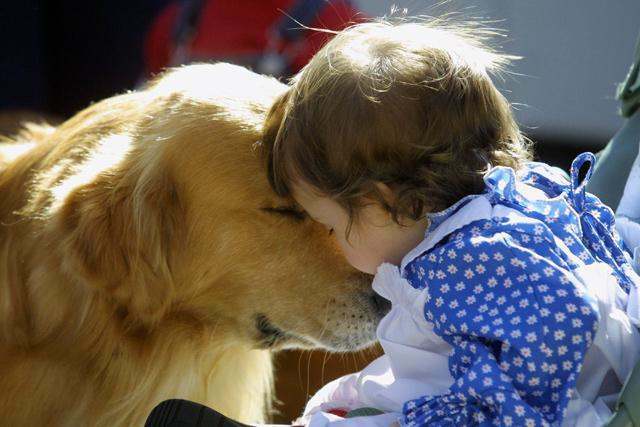 I like dogs but I have always been a little leary of them, but Golden retrievers are good with children though. All animals are different. 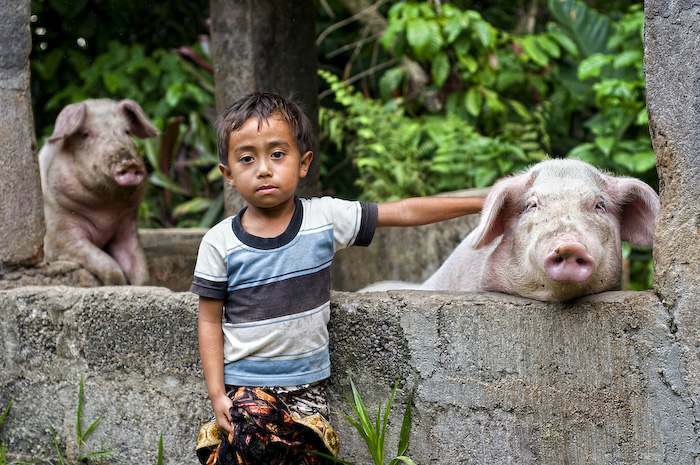 There is no guarantee that an animal will attack a child. It depends on the personality and experiences of the animal. I think that children need to be supervised while around animals simply because it’s the nature of children to provoke an animal (not because the child means harm, but out of curiosity) and it is the nature of animals to attack when provoked, but it’s obvious that there is supervision if they are being photographed. I must testify that I have a 6 year old Golden Retriever whom I’ve had since he was 6 weeks old and I have a 4 year old son. 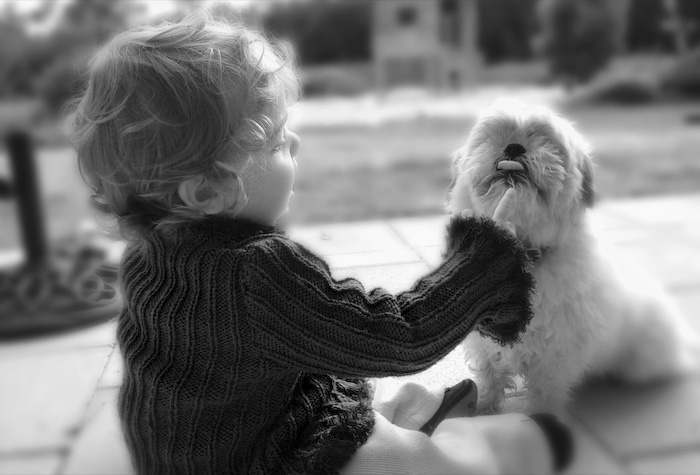 Neither my wife nor myself left our son unattended for even a moment at any point with our dog until very recently, although we knew that our dog was well-trained, well-behaved, and friendly. 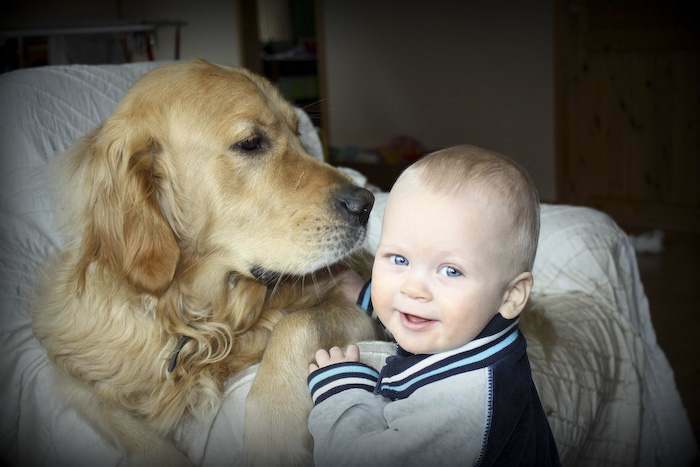 When my son was developing, he would often pull the dog’s tail, ears, yank on tufts of fur, lay on top of him, and when he was 2 an a half he even tried to ride the dog as a “horsey”, but not once did my dog so much as growl at my son. 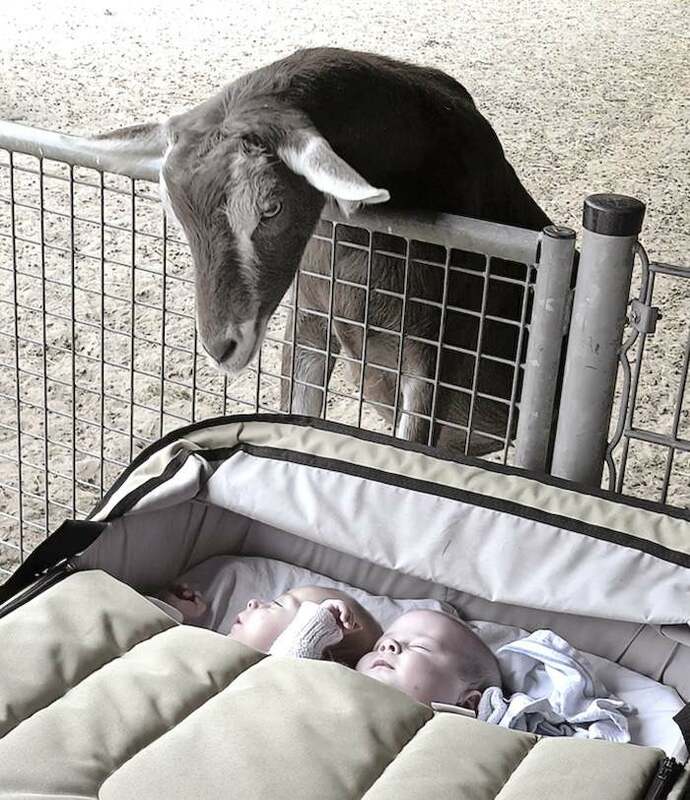 Every animal is different with children. Until you know your animal’s tendencies when confronted with a kid and your child’s when confronted with a beast, don’t leave them to play alone. It’s as simple as that. I hate children. The animals by themselves would have been good though. What great photos. I loved them all. Thanx for sharing. Do you really think the parents would let their children around animals they didn’t fully trust? None of these pictures suggests aggression, or the baby being in danger in any way. Aside from the cat in the second to last picture, but you can clearly see a man holding the cat back. Also, a picture doesn’t fully tell the story. The cat could just be a bit wary or nervous, not necessarily about to strike. 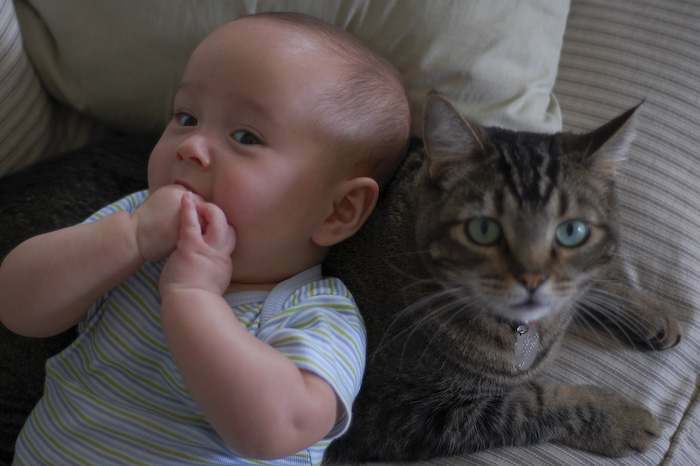 I’m sure if the cat were growling or something the parents wouldn’t let the baby get that close. Now why don’t you stop criticizing every damn picture you see on the internet and just enjoy them, and appreciate the beauty of the bond between an animal and a child. For goodness’ sake. Also, picture number #19 is easily my favorite. I think it’s soooo cute. The only picture I would really criticize is the first one. 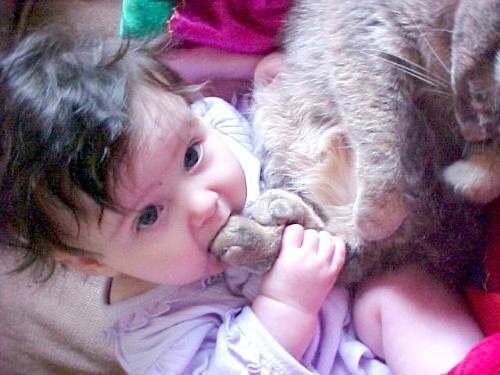 Your cat’s paw is obviously not the most sanitary chew toy. Especially considering the time they spend digging in the litter box. Gross, but still cute. isa.11:6 ….and a little child shall lead them…. :9they shall not hurt nor destroy in ALL my hole mountain:….. I dont like the last one. Thats how kids get bit. Then the dog has to pay for it.